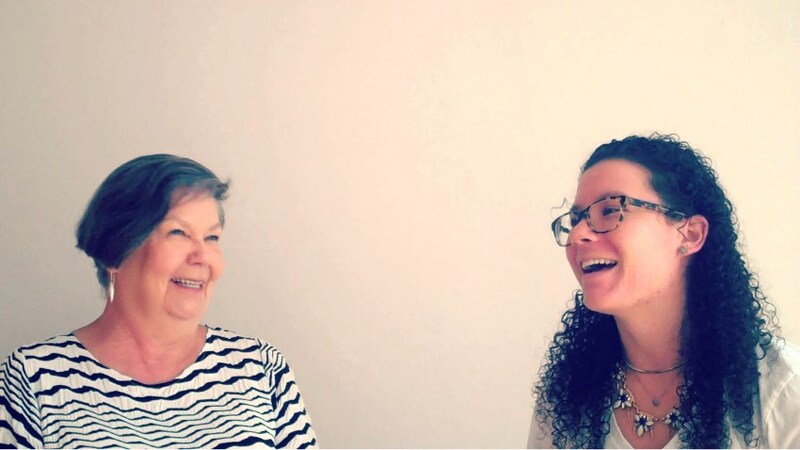 Our Curator Edie Carpenter and her assistant Erin Riggins are constantly on the lookout for new and/or up-and-coming artists to exhibit in The Gallery. One way this happens is through our Open NC Art Review where artists from across the state of North Carolina come and present their work at Greenhill. Erin: One of my favorite things at Greenhill is the Open NC Art Review. They present to our curator, Edie, as well as other art professionals from the community...and fellow artists. I think it's a really good opportunity to get unbiased feedback and it's excellent exposure. 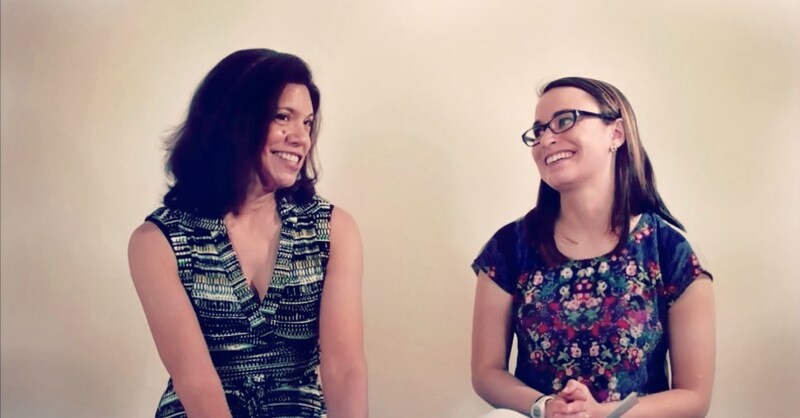 Interviewed by Greenhill's Intern Maddie Fritz, Artist Carolyn Nelson reflects on her presentation experience with our Open NC Art Review. Carolyn: I met wonderful artists that I have maintained a relationship with. One of the best things for me was when a panelist asked a question that really changed the way I work in terms of size... I am sure that I am in the show [our future exhibition It's All About the Hue] because of that presentation. Maddie: What would you say is the focus of your art? Carolyn: My art is about space; it's about color and light and energy...it's always inspired by a field, an openness, and mystery. Maddie: When you have had your art presented somewhere, have you ever had the chance to watch people look at your art? Carolyn: I love to watch people look at my art...I mean for it to be seen from a distance. Especially these larger pieces have to be seen from a distance, but they are made with very small stitches. It's just something that draws people close to the work itself. Maddie: How would you describe your beginning as an artist? Carolyn: I was just encouraged as a very young child. I never questioned what else I would do. Maddie: What would you say is a typical work day and what is intregal to your work now? 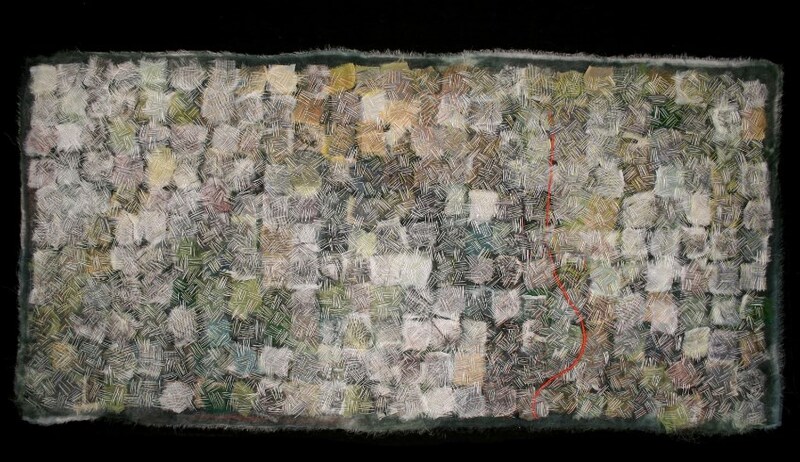 Carolyn: The work is textile, which is very intimate in material and process. It's close, you hold it, it's textural. It can be a challenge some days to do a very specific movement thousands of times... My work takes about 2 to 4 months to complete. 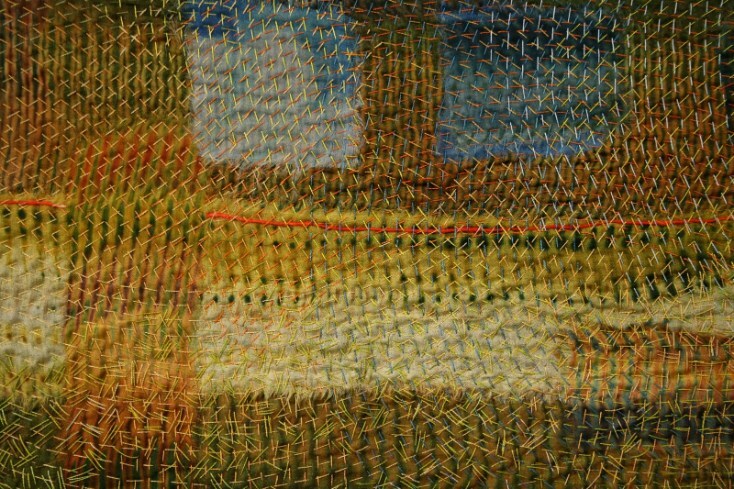 Much like the stitches are multiples, the subject also has that vastness. Please visit carolynnelsonart.blogspot.com/ to view more of her incredible works. Be on the lookout for Carolyn in our future exhibition, It's All About the Hue (January 29 - March 24, 2016).